In The Gift of Spirit, Tina Coluccio chronicles her journey from heartbreak to healing, and spiritual illumination. In the process, Tina offers personal stories, accessible suggestions, and straightforward explanations of spiritual concepts to help readers cultivate more joyous, spiritually guided lives, no matter their circumstances. Before Tina was in high school, she lost her older brothers in two separate but equally tragic accidents and her father to disease � leaving behind Tina and her mother who both suffered from unimaginable loss and loneliness as a consequence. Tina�s mother never rebounded from the devastation of such loss, and she passed on when Tina was in her mid-thirties. Tina took a different more soulful path, turning her life from one of sorrow into one of hope, strength, and renewal. 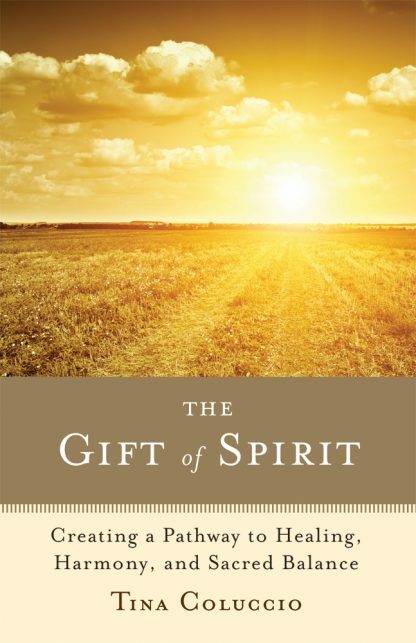 The Gift of Spirit meaningfully captures one woman�s inspiring grace during her darkest hours, and provides guidance for others to find hope and healing during their own. Tina Coluccio is a renowned spiritual intuitive and practicing Feng Shui consultant, with a background in medicine as a nurse. She has done hundreds of in-home and business Feng Shui consultations, as well as innumerable personal spiritual consultations. Tina lectures extensively on a variety of esoteric subjects, including energy healing and Feng Shui, and has appeared often in both print and television media. Continually expanding her knowledge of Feng Shui, while availing herself to all who seek "spirit guidance," she has remained dedicated to helping others find their sacred balance and spiritual well-being.